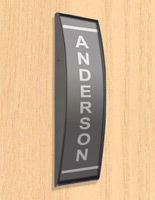 This is One of 100s of Sign Supply Models Offered on Our Website.Sign Supplies Are Our Business! 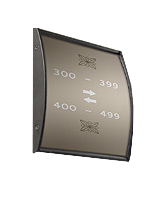 This Compact Sign Supply For Mounting Signage Can be Bought in Bulk! 3" x 5" 3" x 8" 3" x 11.5" 3" x 15" 4" x 5.5" 4.5" x 24" 5.5" x 6" 5.5" x 9" 5.5" x 15" 6" x 7.5" 6" x 8.5" 7.5" x 10" 7.5" x 11.75" 8.5" x 11" 8.5" x 16.5" 11.5" x 17"
Durable, anodized aluminum extrusion ensures long-term usage. 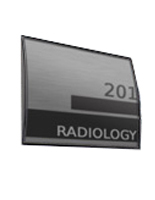 This sign supply, also recognized as an aluminum frame, is sold without images or signage. This allows clients to make their own graphics, personalized for a specific need or environment. Clients can print their images using an ordinary printer! 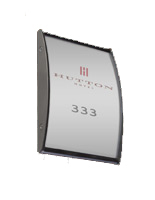 This sign supply is often used to exhibit a name, room number, warning signage, or simply business logos. Every directory exhibit is supplied with a non-glare lens to shelter prints and stop glare from blocking the view of the exhibited sign. This commercial sign supply for industries includes a suction cup to effortlessly lift the non-glare lens for fast and simple artwork changes. 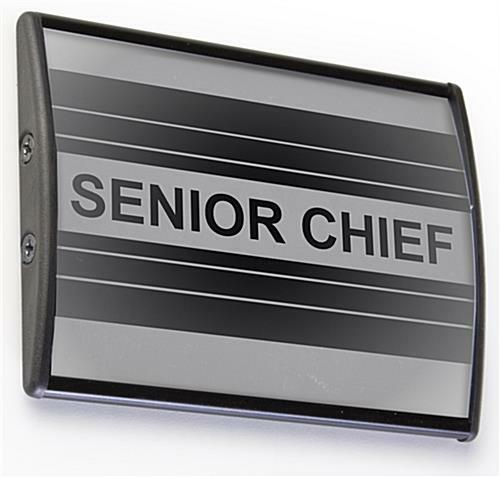 Name holders, like the one above, are effortlessly affixed to any flat surface area, both vertically and horizontally, utilizing the supplied double-sided tape. 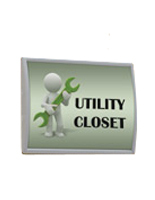 This directory exhibit, sign supply, is suitable for workplaces, banks, schools, studios, and many more. 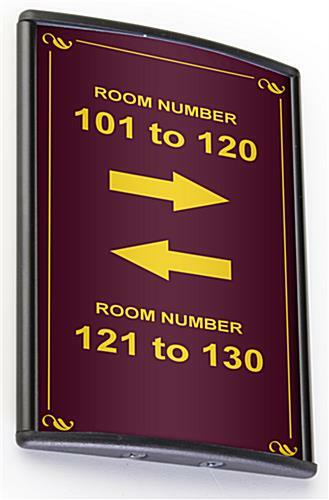 This affordable sign supply that displays printed media is a way to supply your office or store with wayfinding signs. Fabricated from anodized metal, this small poster frame is long-lasting for several years of usage. 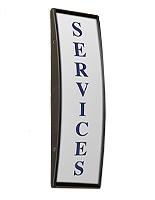 This sign supply has a special, curved design to attract the curiosity of patrons and clients. 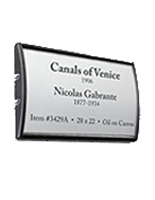 With its smooth black finish, this aluminum frame can effortlessly match with any workplace or sales environment. 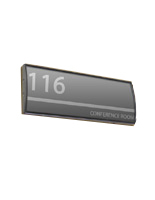 This sign supply can make your office appear more professional, by identifying workplaces or cubicles. The merchandise can also be utilized as a wayfinding signholder, directing clients or new workers to the right location as well.